I’ve said it in many meetings with clients, I’ve read books and blogs on the subject, and I’ve listened to podcasts from other design experts who all say it – a brand tone of voice is very important. It is a common misconception, but too many of us still see the logo as the central pillar of the brand. A shining visual beacon that will pass on the brand virtues and ethics, that will be the siren call to customers far and wide……..well, that isn’t the case. Your logo is only one part of a brand’s foundations and there are other elements that combine with this to give solidity to its foundations. In this blog I’m going to talk to you about one of those other brand elements today, TONE OF VOICE, and by reading on, your brand will be all the stronger for it. This isn’t going to be a ‘How To’ blog, instead, I will point you in the right direction to more in-depth articles that will show you how to find your own tone of voice. In a nutshell, your tone of voice (or brand voice) is what helps you to communicate effectively with your audience and stand out from your competitors. You do this by sharing your brand’s personality through your writing, be it on your website, social media platforms, blog posts, printed materials and so on. Essentially, anywhere that you are speaking to your target audience you want your tone of voice to engage and excite that audience. How do you find your brand’s voice? Research! As this is a major part of any businesses brand arsenal, it means there’s a lot of work and research that needs to go into creating your brand voice. • Who are we targeting? • What brand voice do we want to be putting out there? • What brand voice are we putting out there at the moment? • Are we being authentic? By doing exercises like this you can involve the writers and get their input and feedback. Then a cohesive set of aims and objectives can be formed which will dictate the tone of voice from then onwards. Watch competitors: Take a look at your competitors, what are they saying to their (your) audience? Do they use a tone that you would like to emulate, or do you want to be different? You can both be targeting the same market but you can come at it from completely different approaches. Let’s take Innocent Drinks and Tropicana as examples. Innocent are fun, relaxed and playful in tone, whereas Tropicana is more serious, focusing on health and the details of ingredients. Both sell fruit juices, both are very successful, but they have completely different brand voices which will attract people who buy into that way of speaking. Another example would be Barr’s Irn-Bru and Coca-Cola. Irn-Bru is very well known (in the UK at least) for their anarchic and comedic advertising and has a very irreverent tone of voice. Coca-Cola, on the other hand, is all about friendship and family values. An altogether contrasting tone of voice to Irn-Bru. Listen to your audience: Do you know how they communicate with one another? There is no point in you having a conversational and light tone of voice if your audience is much more formal in the way they communicate. You may come across as flippant and you don’t want that. Or, it could go the other way, where your audience is very casual in the way they talk and yet you come across as an old school teacher, strict and formal. They will run a mile. The end goal here is to get your audience to bond with your brand, become advocates. You’ll only get that by speaking their language, using both visual and written branding in a tone that they want to listen to. A very in-depth article on creating your tone of voice. Including interviews from leading brands on their thoughts and advice on brand voice. Smashing Magazine has always produced great articles and this one is no different. Again, very in-depth with lots of real-world examples of brands who use tone of voice very well. Lastly, I have also recorded a 6 minute video on brand tone of voice that will re-enforce the things I talk about in this blog. We all know that when we speak to people that we don’t want to lie, or pretend to be something that we’re not. If you are doing that, then please stop. By creating an authentic and consistent brand tone of voice you will strengthen your brand and build trust with our audience. In turn, this creates loyal customers and advocates for your brand. Being able to retain long term relationships with customers should be the goal for any business as it is much easier to keep a current customer than it is to find new ones. 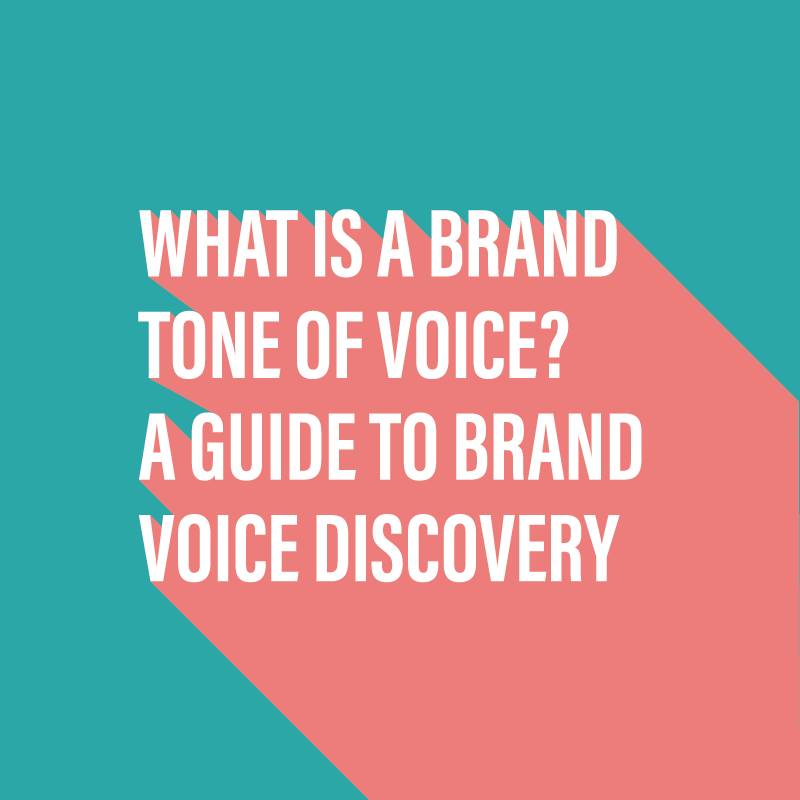 Have you got your brand tone of voice completely nailed down? if you have, I’d love to hear about the process that you went through. SUBSCRIBE AND NEVER MISS AN UPDATE FROM ME AGAIN! You will get an email directly to your inbox letting you know I have posted new content to my blog and videos to my YouTube channel.